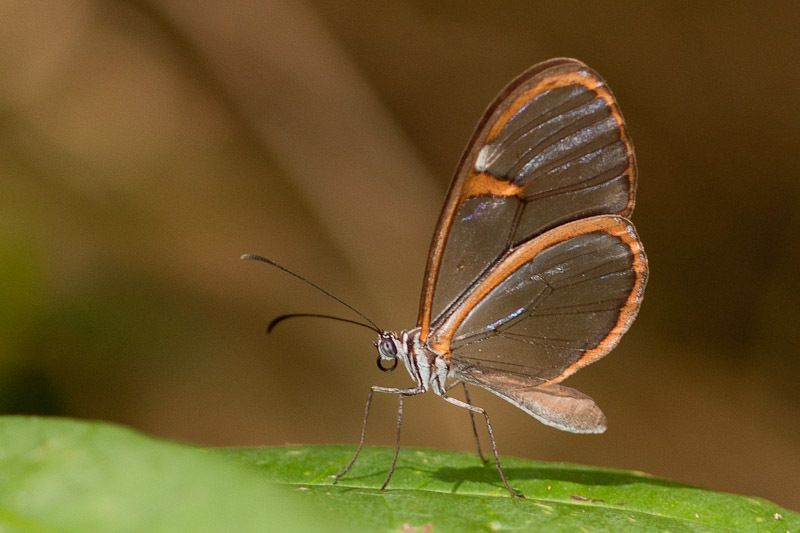 Glasswing butterflies lack scales on parts of their wings, leaving those parts transparent. Though similar looking, this is not the species (Greta oto) commonly found in many of the butterfly houses I’ve visited. That one’s range doesn’t extend into South America. This is probably a closely related species. I was surprised there are so many that look very much alike. Check out this Florida Museum of Natural History page on the tribe Godyridini to get an idea.